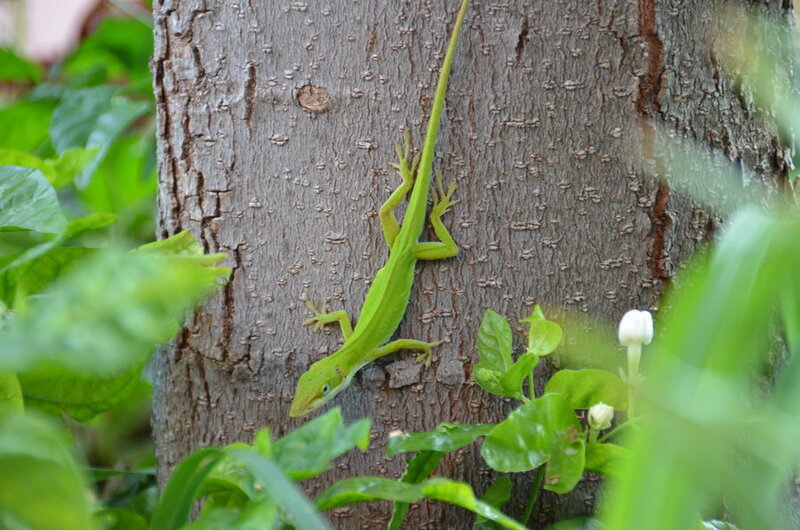 Green anoles (Anolis carolinensis) are the only anoles native to the U.S.
Discovering a lizard or two in your home may be startling, and is certainly unwelcome, but rest assured—they are harmless. Still, it’s understandable that you want them out! Lizards in Florida are a fact of life, but you can easily remedy and/or avoid having them in your home. Wondering about the types of lizards in Florida? There are at least 29 species of lizards in Florida, many of which came from other places—either arriving accidentally or being brought as pets. Many either escaped or were purposefully released. As there are no poisonous lizards in Florida, knowing Florida lizards identification won’t necessarily change your approach to getting one to leave your home. Nor will it change the steps to preventing one from entering in the first place. 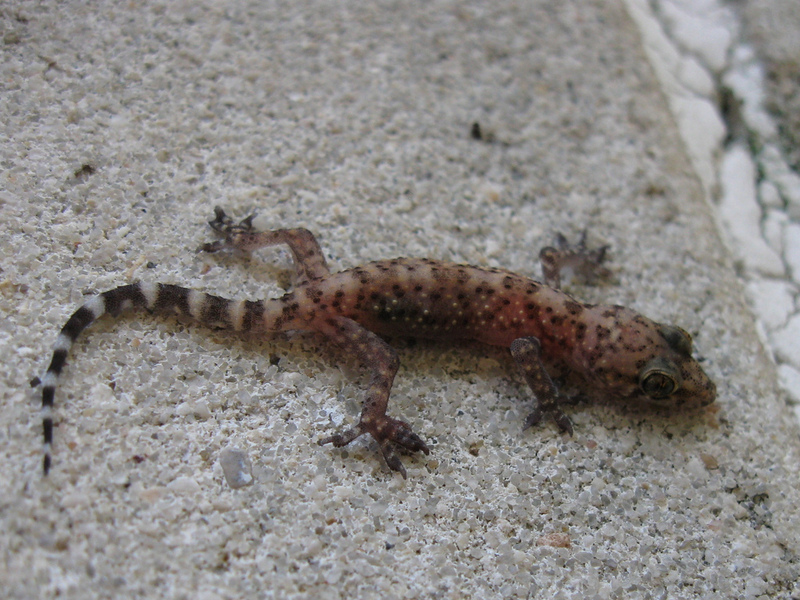 Although they are not native, the Mediterranean house geckos (Hemidactylus turcicus) are very well established in Florida. Limit the parameters of the chase by closing all doors to other rooms and jamming towels or cloths under the door so there’s no sneaking underneath. Open a door to the outside so you can gently guide him in that direction. Reduce hiding places by removing clutter and moving furniture away from walls. 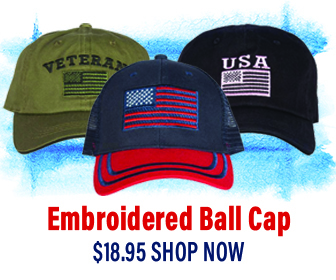 Get a small box or container that you can gently plop over him if an opportunity arises. Then, slip a piece of cardboard between the opening and the floor or wall upon which you have trapped him and carry him outside where you can release him. Alternatively, try filling a spray bottle with ice water and spray him as you try to herd him in the direction of the door. Lizards apparently hate cold water so this will put him in the mood to leave quickly. Or, use a folded newspaper to gently guide him out the door, making sure to bend and move it quickly so that he doesn’t head around the corner in another direction. 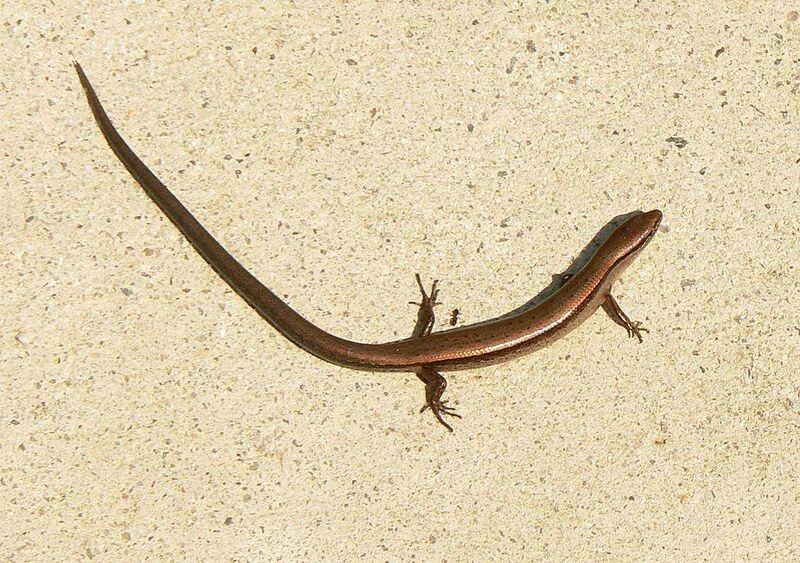 Ground skinks (Scincella lateralis) are about 5 inches long and are commonly seen in lawns and around homes. Make sure piles of rocks or wood are as far from your home as possible. Keep grass and shrubs near your home’s foundation trimmed. Make sure the soil around your home drains well—if not, change the sloping or dig a trench and add a drainage tube. Check the exterior of your house for holes, cracks, or other openings and seal them with hardware cloth, caulking, or door sweeps. Make sure all windows have tight-fitting screens. Nix the kitty door if your cat likes to catch and deliver. Sweep or vacuum floors to remove debris that attracts lizard food, i.e. insects. Keep counters and tabletops free of crumbs and leftovers for the same reason… same goes for dishes in the sink. Anything that invites insects invites their predators, and your local lizards won’t likely pass up the offer. That predator-prey relationship is worth keeping in mind when you’re feeling peevish about all the lizards in Florida, though. They do scarf up flies, crickets, and other insects that are annoying to have around. So, as you gently whisk that wayward one in your house out the back door, wish him well with his worthy pursuit!